"How 'ya gonna keep 'em down on the farm after they've seen Par-ee?" Answer: "When in Rome ..." Or perhaps, "When you can't be with the one you love, love the one you're with." 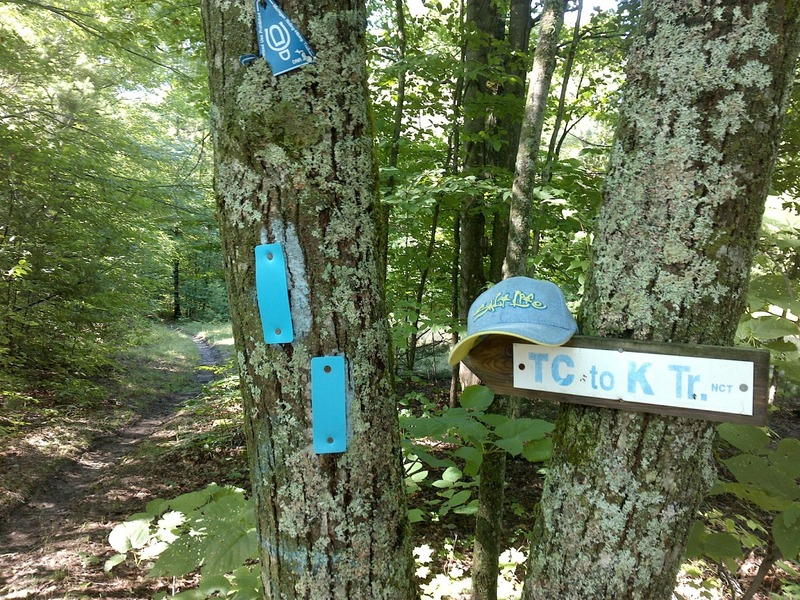 The North County Trail has given me the chance to walk the "Forest Cathedral" - a true virgin forest in Cook State Park, western PA (this is the link to my report). 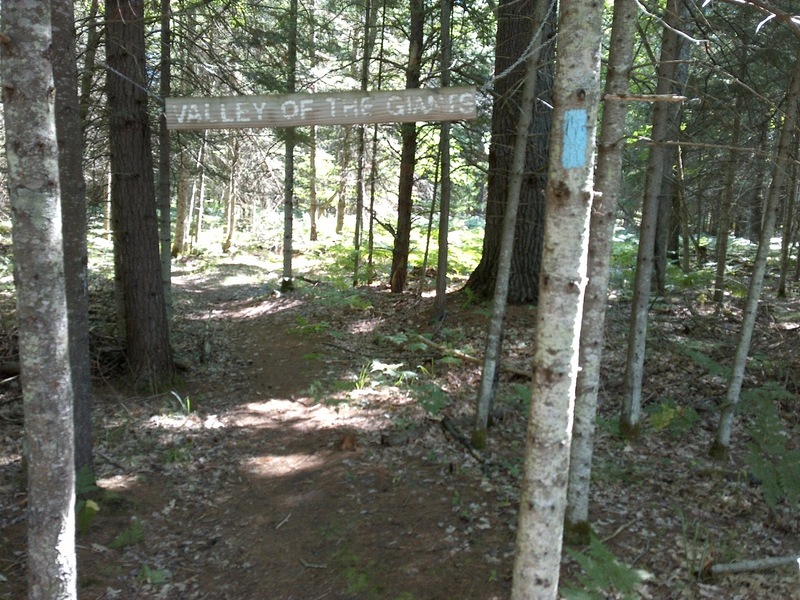 Now, here in Michigan, I'm sent on a ramble through several miles of dense woods beside a cool stream with big white pines, deep shade, and marvelous peace and quiet given the name "Valley of the Giants". 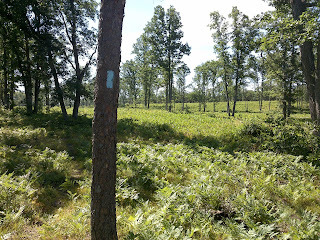 Trees were big, no question, so the name applies. But it's just not "Par-ee." How do you keep then down on the farm? Give it a catchy name, and remind the kids that "Par-ee" is a long, long way from home. 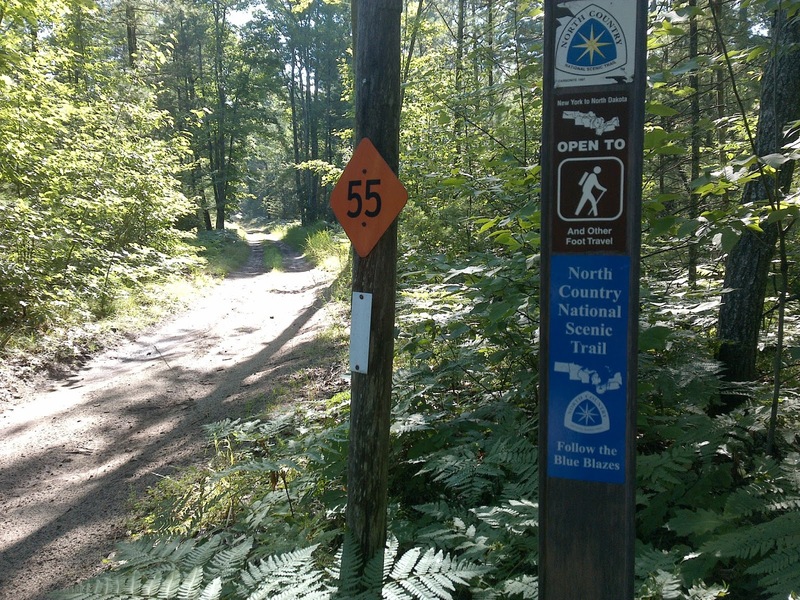 How many local hikers are going to ever get to western PA anyhow? I loved my time in the Valley of the Giants. Every minute of it. 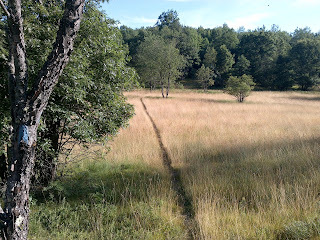 The weather was North Country perfect for mid-summer. Low humidity, high temperature in the upper 70's. 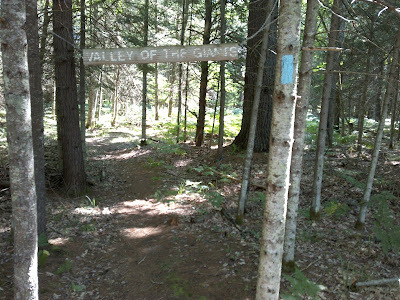 The smell of the forest was of fresh humus and pine. Sandy Twenty-two Mile stream was crystal clear. There was a beaver pond. There were two new foot bridges across the stream. Here was another premier hiking experience. Later the trail took me for a premier stream-side ramble along the much more substantial North Branch of the Boardman River. No creative name for this section. It spoke for itself. 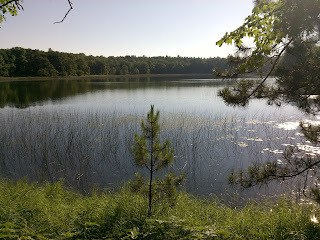 Then there was "Sand Lakes Quiet Area." Love the name. I believe it refers to the fact that many state forest lands have mixed-use trails intermingling, so you're at risk of hearing roaring motorcycles or ATVs as you trek the pristine woods. 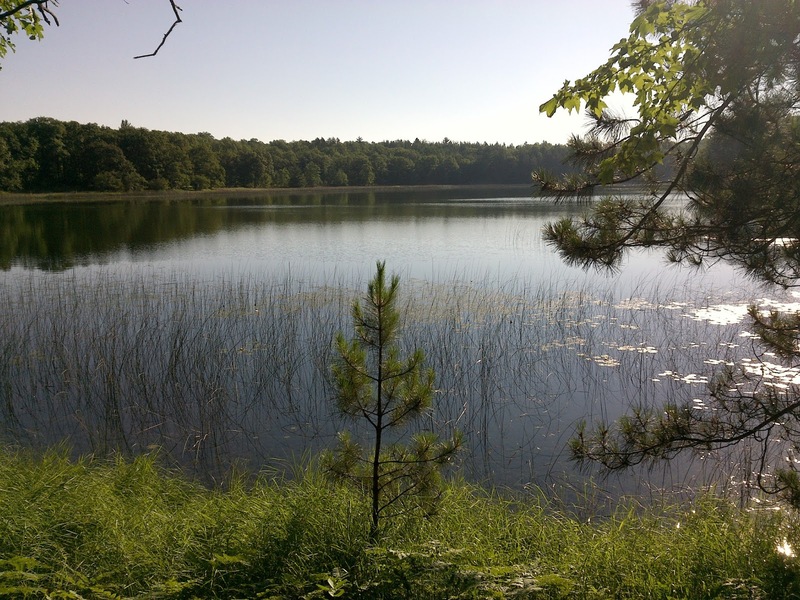 Here at Sand Lakes, there were no ATV or motorcycle trails, just foot trails beside quiet small lakes. More perfect mid-summer North Michigan weather. 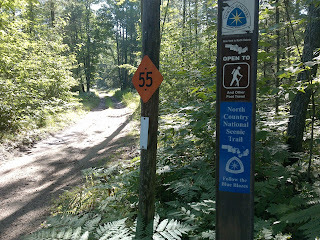 Elsewhere the trail did coincide with snowmobile trail for a long time. 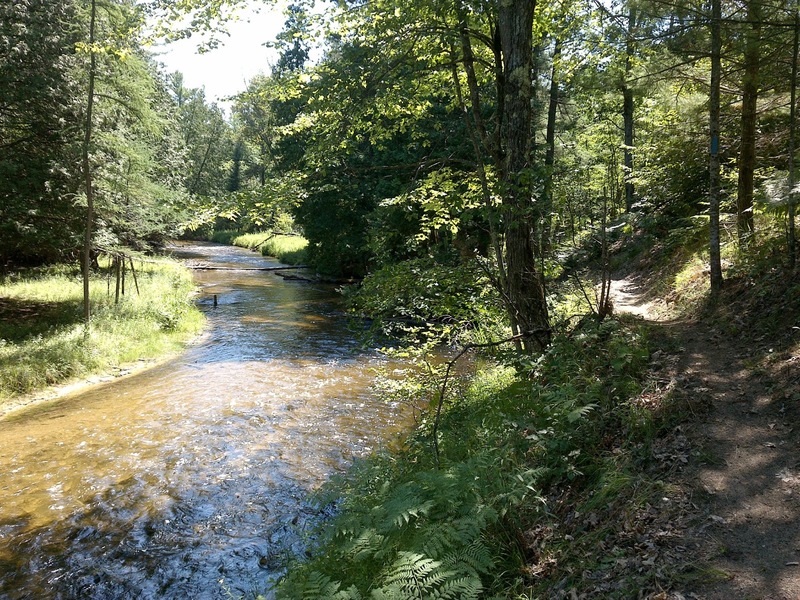 When it turned off that, it was still sharing with horses and with the Traverse City to Kalkaska connector trail, something that apparently predates the North Country Trail. 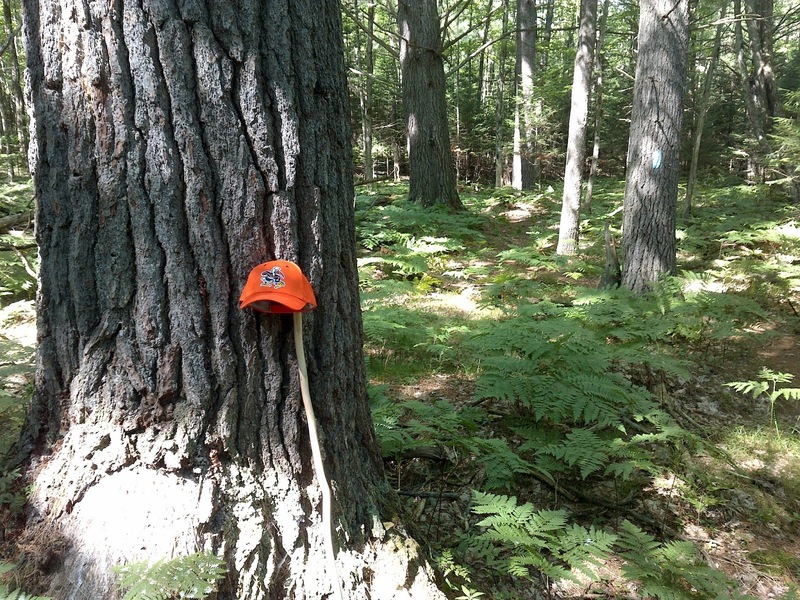 Here's Hat #33 at the turn. 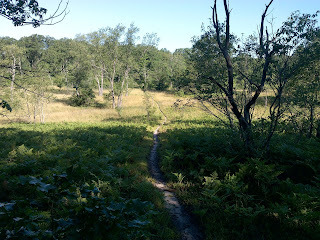 Although I titled this post 'deep woods adventures' there were sections through typical Michigan sandy upland meadows and Savanna-like landscapes. How these Savannas sustain themselves, I do not know for sure. 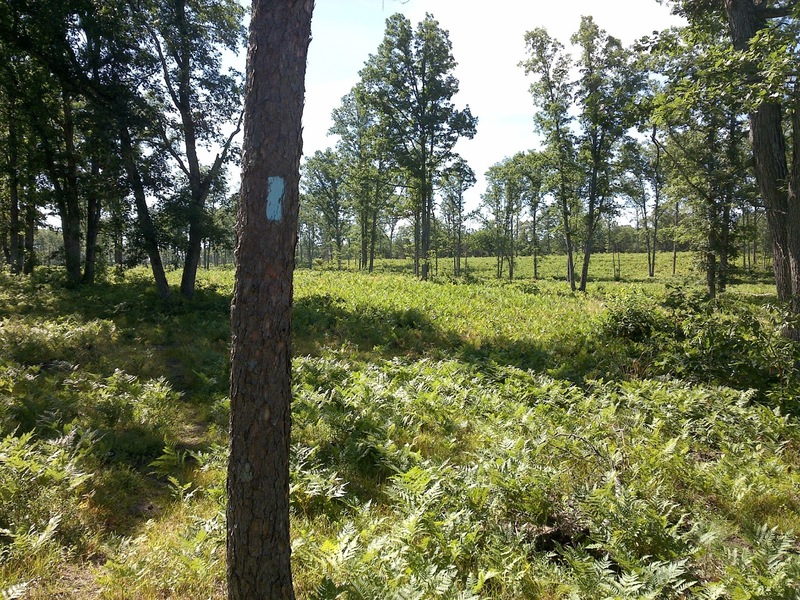 I believe the area was originally all dense pine and hardwood forest. 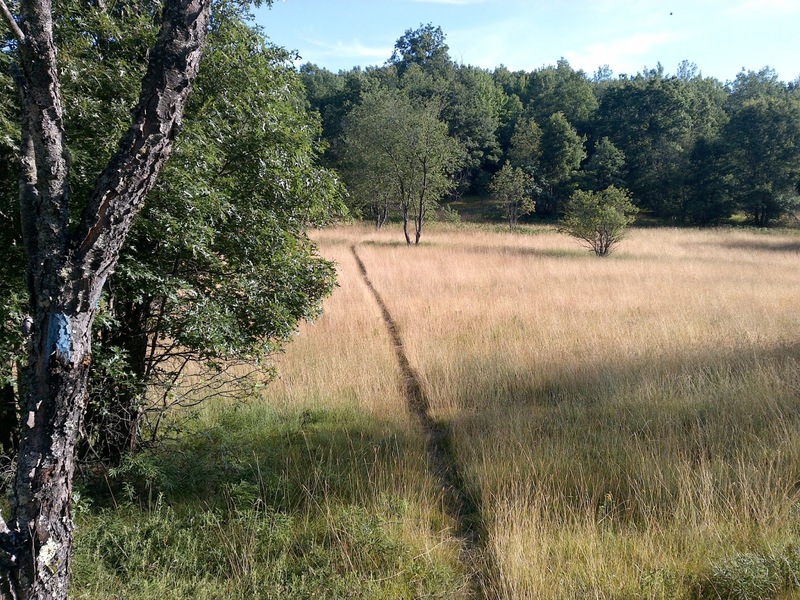 I know it was all clear-cut a century ago, and it seems that some areas have yet to recover because of the well drained sandy soil. All in all, Michigan, you did well. If I had to choose a single section of forest to hike, I might head back to Cook Forest. But I definitely 'loved the one I was with' today. Well, two days, actually. 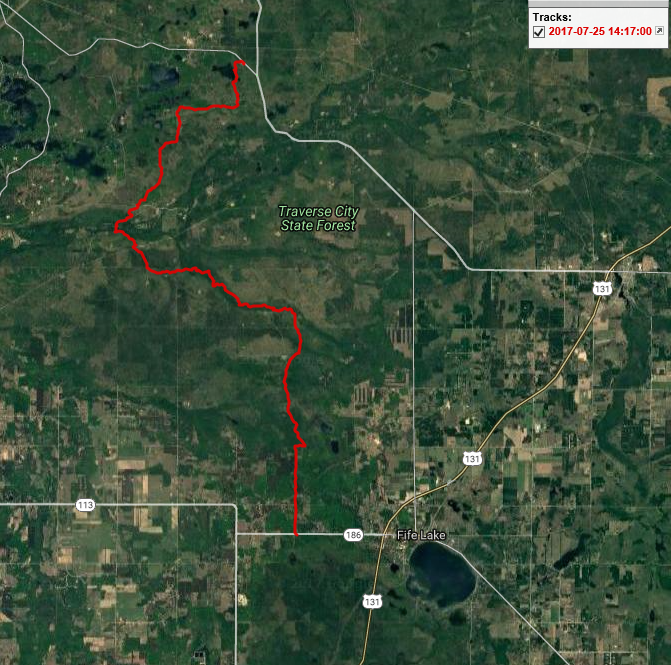 Here are screen shots of the GPS tracks. And finally, here is the interactive overview map of my whole big "Personal Continuous Footpath" hike. Zoom in on northern Lower Michigan for a closer look at the areas discussed here.